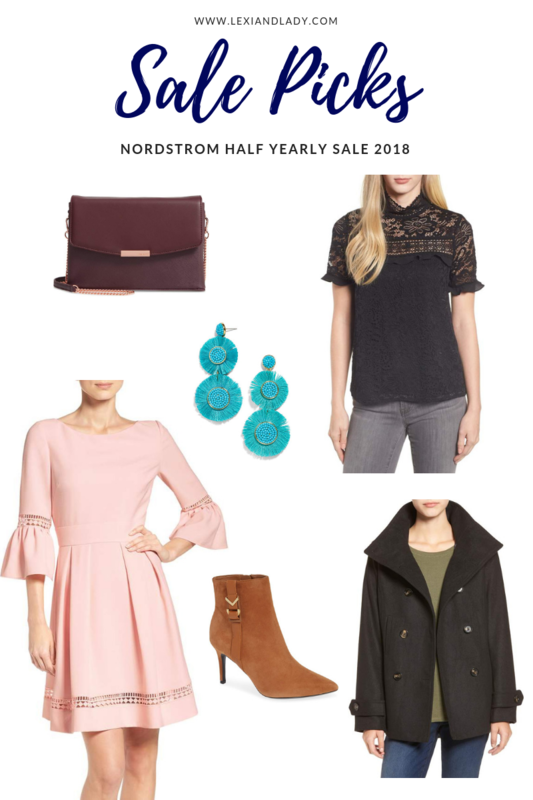 I looked over a good portion of Nordstrom’s Half Yearly Sale and selected my picks. Let’s be honest…after narrowing down the search there were over 11,000 products to go through. I love to window shop, but that’s a lot! I categorized the products below by clothing and shoes/handbags/accessories. Thought that wa the easiest way to separate everything. Everything here is under $150. Remember, the sale ends January 2. The picks include my favorite workout leggings, a great casual dress for now and spring/summer (if between sizes, size up), the perfect dress for a spring wedding, my go to jeans right now (even though my sister-in-law calls them mom jeans), and some fun earrings (or these) to add a pop of color to any outfit. Do you remember when family would write holiday newsletters and include them in their Christmas cards? With the invention of social media that died. There’s a bit of sentimental me that wishes we would still write. Maybe that is why I love having this creative space to do so. 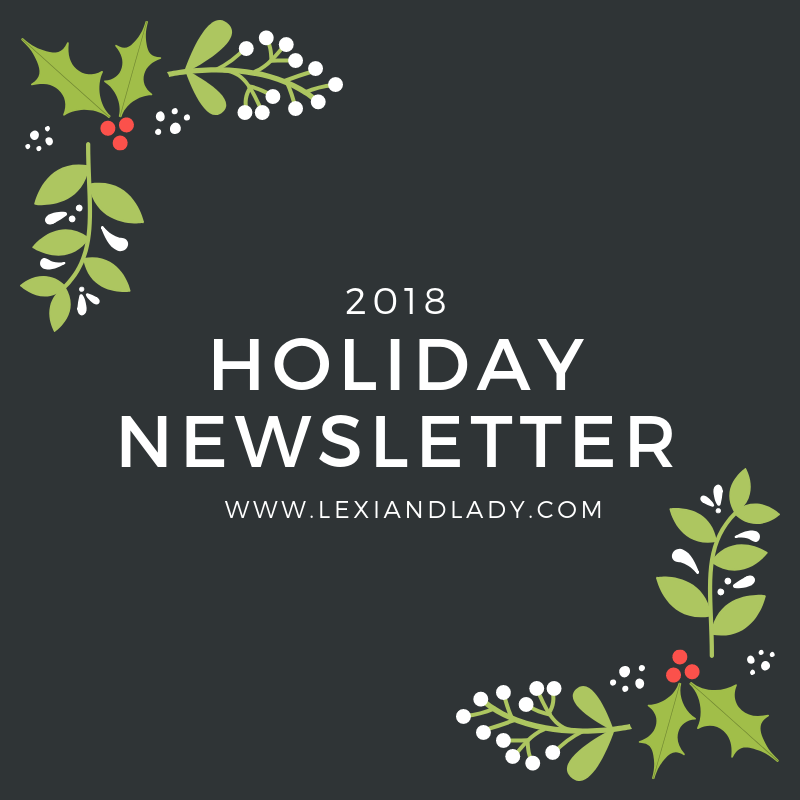 When I was thinking about the holidays (months ago) I thought, why not include a link to this holiday newsletter in my Christmas cards this year. Then anyone who wanted to see a recap of 2018 could. I guess I felt it combined the best of both worlds; written and digital. Well I never got around to getting holiday cards out and it’s nearly the new year at this point, but here’s our holiday newsletter anyway. 2018 was a year of great change! Not like 2015 when we sold everything and moved into an apartment. Read about that here. Nothing will be like that adventure and all the experiences we had traveling in 2016. Sydney still has a piece of our hearts! In January I started a new job with my old “family” and it has been the best thing I have done for my career and myself. Read about it here and here. In recent news, my boss accepted a new position which will leave his current duties to myself and the other assistant director. I am excited for the opportunity to learn more and to work more directly with our department’s director. The hubs started a new job in October with Montgomery County as a CIT (Crisis Intervention Team) member. I am so proud of him! So far the change has been excellent for him. The new assignments has recharged his energy and the leadership there seems to be supportive. Good leadership goes a long way people! Last Christmas I bought the hubs a drone and it went on all our vacations and has turned into a bit of a side hustle for him. He’s produced a couple of videos; one for the university and one for a resort in Louisiana. Check out his website and follow along on social media (Facebook, Instagram). If you need any aerial footage captured then reach out to him! Needless to say, we are thankful for the new career chances we have been given in 2018. The hubs and I started off the new year with a trip to Winter Park, CO with our favorite traveling family. We spent a lot of time outside in the beautiful mountains. Read here. 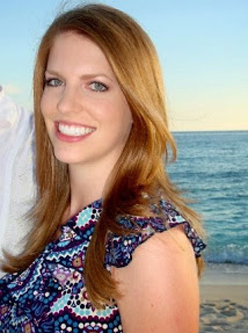 We went with the hubs’ family to Grand Cayman for the first time in a couple of years. I had forgotten how much I loved that white beach and bright sun. Read here. We are on a journey to being debt free thanks to Dave Ramsey’s Total Money Makeover and Financial Peace University. Student loans are no joke! Additionally, I share the Every Dollar app with anyone who will listen. It’s amazing! In early December we added to our pack with a new miniature schnauzer, Mia. Mia is currently at puppy training school and will come back to us in January. We are excited for the furry addition and will be excited to see everything she learned at training. Having a well-trained dog is essential! Loyal readers, that is all I have to share for now. I know 2018 has been sparse on posts and it has had a great deal to do with the career changes and other things outlined above. I have missed this creative hub and think about it often, but at the end of a long day it’s the furthest thing from my mind. I know you understand as we all go through different seasons of life. I hope to add to this space more in 2019. Thank you for hanging in with me on this journey. I wish you all the best in 2019!